The Russian Vostochny Cosmodrome. Photo is courtesy of Roscosmos. In a story published by The Moscow Times, Igor Nesterenko, the former director of the construction company involved in building the Vostochny Cosmodrome, was sentenced to three years and three months in a labor camp on charges of fraud, the RBC newspaper reported Friday. While working as director of the Pacific Ocean bridge-building company (TNK), Nesterenko embezzled more than 100 million rubles ($1.6 million) via a scheme run by an associate, Sergei Yudin. He was arrested in the far eastern Primorye region in April following complaints from TNK workers over unpaid wages, RBC reported, citing the regional Investigative Committee statement. Some workers voiced complaints on Russian state television during Russian President Vladimir Putin's annual call-in session with the nation this month—dozens of workers went on strike at Vostochny over their unpaid wages. Nesterenko is also being prosecuted in connection with non-payments, RBC reported. The state-run RIA Novosti news agency reported that two more people suspected of commercial bribery have been detained and are under investigation in connection to this case. In July 2015, Russia's Prosecutor General Yury Chaika estimated the total amount embezzled during construction at 7.5 billion rubles ($117 million). 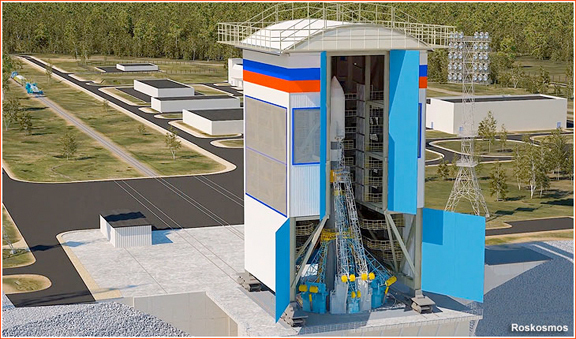 Russian media reports that, according to a 2014 inquiry by the Audit Chamber, Roscosmos was responsible for financial irregularities worth 92.9 billion rubles ($1.4 billion) during the construction, with the cost of the cosmodrome overstated by 20 percent. Shortly after a successful—but initially delayed—inaugural rocket launch at Vostochny, Putin reprimanded Roscosmos head Igor Komarov and Deputy Prime Minister Dmitry Rogozin, who oversees the country's space industry, for the delay. He also promised that those responsible for crimes during the construction won't escape responsibility: “They'll have to swap their warm beds at home for prison bunks” if their guilt is proven.